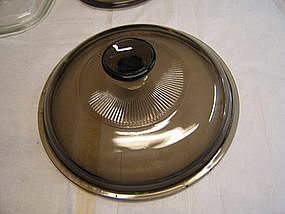 Replacement lid for vintage amber Anchor Hocking casserole, in what I believe is the Oven Basics line.. I believe it is the 1 1/2 quart size. The exterior width is 8 7/8 inches and the inner flange is 8 inches. The square knob, is a very good identification method. It has no chips, cracks, breaks or rough rim. I need your zip code to calculate the postage. 1 1/2 quart size that was part of the amber cookware line, but also will blend with the Visionware. No chips, cracks or breaks. Slight usage wear. There are 2 available and priced individually. I need your zip code to calculate the postage. 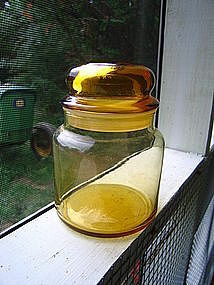 Vintage apothecary style jar in what is more a honey gold than amber shade. 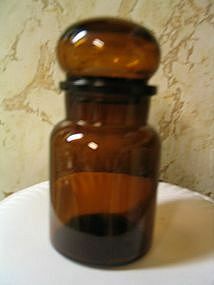 It is 6 inches in height when measured with the lid in place. The plastic seal has no problems. A few superficial exterior scratches. I need your zip code to calculate the postage. 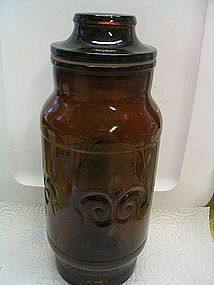 5 3/4 inch apothecary jar manufactured in Belgium. No problems with this jar. I need your zip code to calculate the postage. 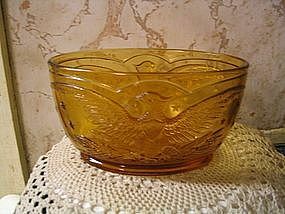 Vintage ashtray in amber or honey gold shade. I am not sure of the manufacturer, but it almost has a tree bark texture, but the shade is very much like the honey gold Soreno. The half circle design is rather unusual. It has 3 cigarette rests. It measures 7 1/2 x 5 3/8 inches. There is no damage to this ashtray. I need your zip code to calculate the postage. 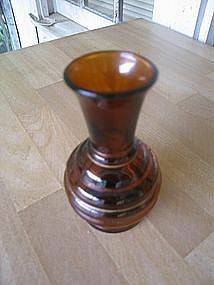 Vintage 4 1/2 inch vase. 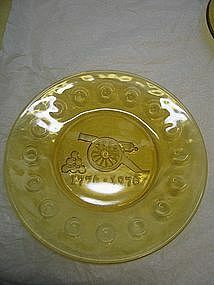 I do not know the manufacturer, but the base is marked as U.S.A. 1. 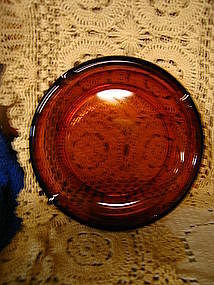 There are no chips, cracks, breaks or rough rim, but there is a loss to some of the gold trim. I need your zip code to calculate the postage. I always thought this was Kanawha, but when I began to research it for listing and couldn't find any information, I've begun to question it's origin. It measures slightly over 6" in length, 4 1/2" in width and 3 1/2" in height. No problems other than on tiny spot of roughness on the interior of rim. I need your zip code to calculate the postage. 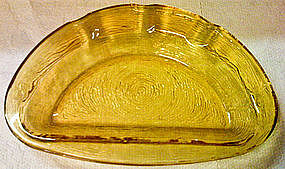 This is part of series of plates manufactured by Anchor Hocking. There are no chips, cracks, breaks or rough rim. I have one other plate in the series that survived a move. I have a clear set available for purchase. I need your zip code to calculate the postage. 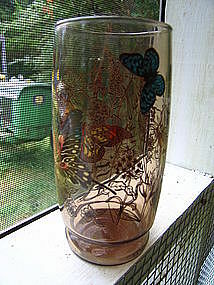 Vintage 16 ounce tumbler with butterfly design. No chips, cracks, breaks or rough rims, but has minor wear to finish. 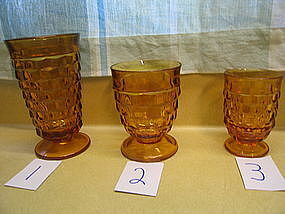 Three glasses are available and are priced individually. I need your zip code to calculate the postage. 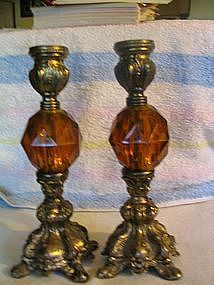 Brass and amber candleholders which measure approximately 8 1/4" in height. I believe they are from the late seventies or early eighties. If you have any questions regarding these items, please email. I need your zip code to calculate the postage. 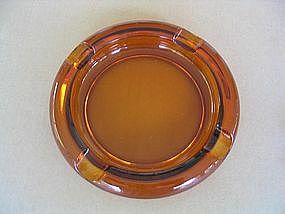 This vintage amber glass ashtray has rests for cigarettes or cigars. It is 6 1/2 inches. There are no chips, cracks, breaks or rough rims, but it does show use. Additional photos or information by email. I need your zip code to calculate the postage. 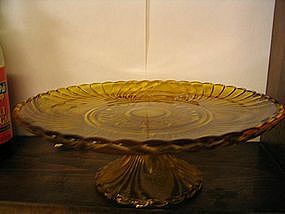 Vintage heavy amber glass cigar ashtray measuring 7 3/4 inches. There are no chips, cracks, breaks or rough rim. There are a few tiny superficial scratches. I need your zip code to calculate the postage. 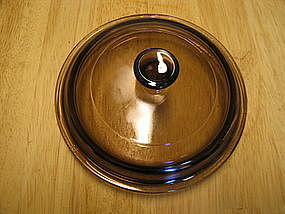 Replacement lid for .5 liter saucepan in the Corning Visions line. 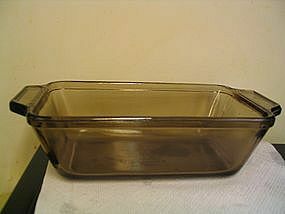 The lid is marked Pyrex P81-C. I will provide a photograph of the lid on the proper pan. There is no damage. Two of this size lid are available and priced individually. I need your zip code to calculate the postage. 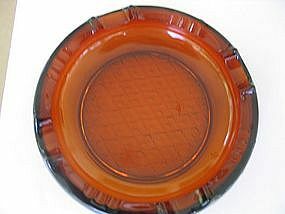 Replacement lid for amber Corning Visions dish. 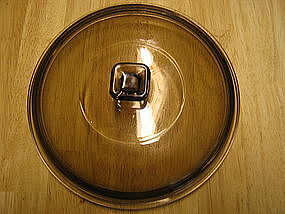 It is marked Pyrex V2.5-C and has a design around the knob. The manufacturing identification information is the same as the lid for the 2.5l saucepan and the width is the same. There are no chips, cracks, breaks or rough rim. 8 1/2 inches in width. I will work with anyone interested in the lid, to make sure this is the proper size. I need your zip code to calculate the postage. Vintage cubist glass, shown as #2 in the photograph. It is 4 1/8 inches in height. There is no damage. The other sizes in the photo is available. I have several of all sizes. I need your zip code to calculate the postage.